A glorious posy arrangement presented with roses, carnations and complimenting blossoms hugged with forest fresh greens. This is a fitting tribute that is skilfully arranged by our professional florists. 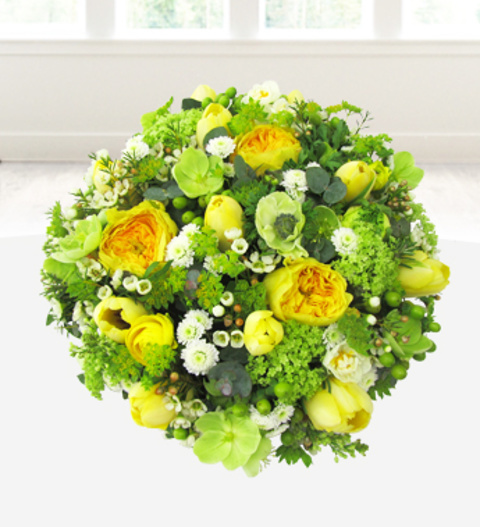 The arrangement is hand delivered direct to the funeral directors or place of funeral.